Olive oil is one of the most popular oils in the world today, and if you use it regularly for your business, whether you have a restaurant or a food business where you mix olive oil with other food items, you should know that it is comprised of different kinds. The most common, of course, is olive oil and extra virgin olive oil, but what exactly do you understand about the differences between the two? Here’s what you need to know about the main differences between extra virgin and regular olive oil – and which is best for your business. Basically, olive oil is the oil extracted from the olive fruit. 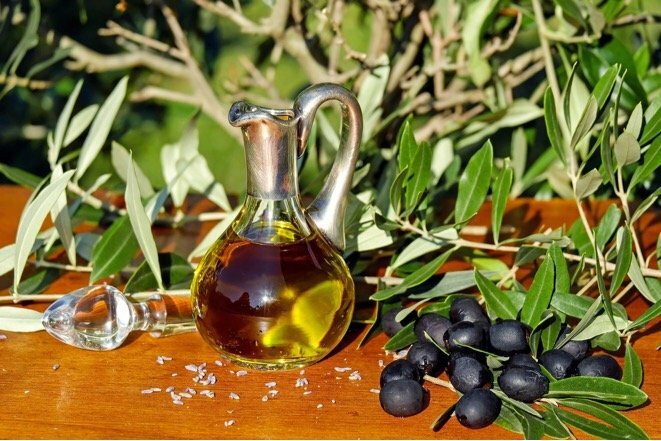 Whilst this sounds quite straightforward, there are still plenty of varieties of the oil extracted from olives which are distinguished not by their type, but rather by the process through which the oil is extracted. Another distinguishing quality between the kinds of olive oil is the additives that they are comprised of, as well as the level or degree of free oleic acid in the oil. If you place a bottle of extra virgin olive oil and regular olive oil side by side, you will notice a difference in colour. Extra virgin olive oil tends to be darker green, whilst olive oil has a lighter yellow tinge. The difference in colour, however, will often depend on the brand, and you can’t use it to determine the oil’s grade. The colour of the oil is only one factor, as there are the quality and the taste to consider as well. In other words, olive oil is actually graded based on its acidity level – or its level or degree of free oleic acid. The amount of the acid in the oil is an indication of the extent of fat which has been broken down, turning the fat into fatty acids. As confirmed by bulk olive oil suppliers like the Kiril Mischeff Group, olive oil is distinguished into two categories as well – refined or unrefined. An unrefined oil will often be untreated and pure, whilst refined oil will often be treated in order to get rid of ‘flaws’ which can affect the oil’s salability. Here’s another distinct difference: refined oil hardly has any olive ‘smell’ or aroma, colour, or flavour, and it has no bitter taste. Extra virgin olive oil is referred to as an unrefined olive oil, and it is of the highest quality. Extra virgin olive oil has a lower smoking point compared to other oils, and whilst you can cook with it, it’s better to use it in dips, salads, cold dishes, and so on, and to use regular olive oil for baking and cooking.